Social networking conglomerate, Facebook, has added a video calling feature to its Messenger application. The new update enables users to have face-to-face conversations with family and friends on the app itself. 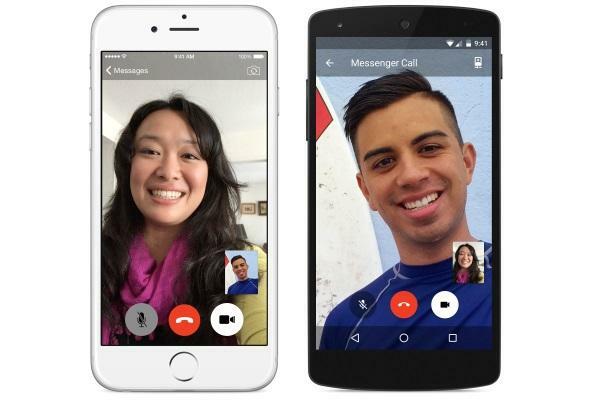 Video calling in Messenger will be available for calls made from a mobile phone to another mobile phone. The updates will be made available for both iOS and Android. According to Facebook, Messenger already offers people the ability to make voice calls around the world and accounts for more than 10 per cent of all mobile VoIP calls globally. As such, it states that video calling will further expand Messenger’s real-time communication features. Facebook Messenger head of product, Stan Chudnovsky, and engineering manager, Param Reddy, said on the company’s blog that this new feature released for Messenger follows its recent announcements of Messenger Platform, Business on Messenger (coming soon), and the ability to send money to friends using the app. The video calling feature will be complimentary to these features. “You can quickly start a video call from any conversation with just one tap. If you’re messaging with someone and realise that words just aren’t enough, you can simply choose the video icon in the top right corner of the screen and start a video call right from within an existing Messenger conversation,” the blog post read. Video calling in Messenger has launched for users on iOS and Android in Belgium, Canada, Croatia, Denmark, France, Greece, Ireland, Laos, Lithuania, Mexico, Nigeria, Norway, Oman, Poland, Portugal, the UK, the US and Uruguay. The feature will be available to Australians in the coming months.